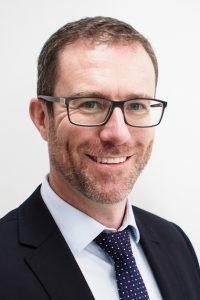 Grant has practiced in the areas of corporate and personal insolvency, litigation and debt recovery since 1999, both in Australia and in the UK. Grant’s experience includes two years in the Special Investigations and Strategic Litigation branch of the Attorney General’s Department, London. More recently, Grant was a director of CLH Lawyers, a wholly owned subsidiary of Collection House Limited. Grant headed up the Sydney team’s high volume litigation portfolio and successfully expanded the practice to advise and act for bankruptcy trustees, administrators, liquidators and private commercial clients. Grant additionally acted for and advised a large NSW Government client and held an in-house counsel role for Collection House Ltd in matters such as compliance, regulatory and privacy issues, drafting contracts, deeds, publications and press releases. Grant is known for his clarity of expression, his commitment to clients and his ability to ensure complex problems remain simple.